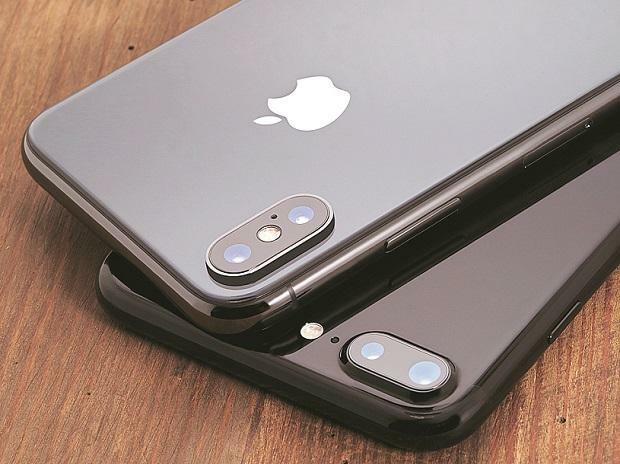 ITC Judge MaryJoan McNamara said she would be recommending an import ban on certain model iPhones, which are made in China, according to a notice posted on the Washington agency’s electronic docket. The judge found no violation of two other Qualcomm patents in the case. The judge’s findings are subject to review by the full commission, which has the power to block imports of products that infringe U.S. patents. A final decision is expected by July. Qualcomm jumped as much as much as 2.6 percent in New York and were trading at $58.11 at 3 p.m. Apple pared gains and was down less than one percent. The judge’s full findings aren’t yet public, and won’t be until both sides get a chance to redact confidential information. The case is one of two that Qualcomm brought at the trade agency, seeking an import ban on iPhones to give it greater leverage in technology licensing negotiations. Qualcomm says it’s due billions of dollars in unpaid royalties on the iPhone as the two tech giants argue over the value of the chipmaker’s patents. The commission is scheduled to release its final decision in the other case later Tuesday. In that case, a separate trade judge found a violation of a different Qualcomm patent, but recommended that no import ban be imposed. In this case, Qualcomm contended that Apple iPhones with Intel Corp. chips infringed two patents related to ways to improve the speed and quality of data downloads and one for a power-saving feature. It’s seeking an order that would ban imports of those iPhones. The judge’s finding of infringement related to the power-saving feature. The original complaint linked that patent only to the iPhone 7 and iPhone 7 Plus, but it was unclear which models would be affected by this decision. Apple denies infringing the patents and claims Qualcomm is trying to shut its only U.S.-based competitor out of the market, which the Cupertino, California-based company argues will hinder the development of the fifth-generation of mobile communications. In both cases at the trade agency, Apple is arguing that no import ban should be imposed even if a patent violation is found. By all accounts, Qualcomm’s technology underpins all modern communications and it’s a large player in the development of industry standards, spending billions of dollars on research each year. It’s also richly rewarded -- the company makes money off the chips in all mobile devices, and also gets paid for the use of its inventions in chips made by others. The Federal Trade Commission has accused Qualcomm of using its patents on industry standards to shut competitors out of the market and demand high licensing fees, and the two sides await a judge’s ruling in that case. The patents in this case don’t relate to standardized technology but Apple claims Qualcomm is using the ITC to maintain monopoly power. The case is In the Matter of Certain Mobile Electronic Devices and Radio Frequency and Processing Components, 337-1093, U.S. International Trade Commission (Washington).